Super quality white on chrome vaulting roller. 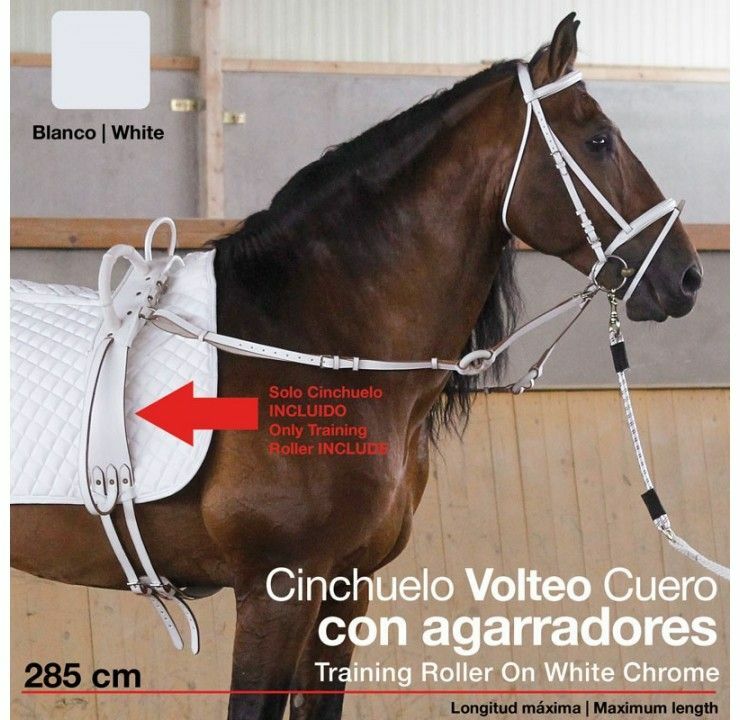 Note the matching white training bridle and side reins are not included but is available separately. The side reins are also available in black, brown and London, as well as white.